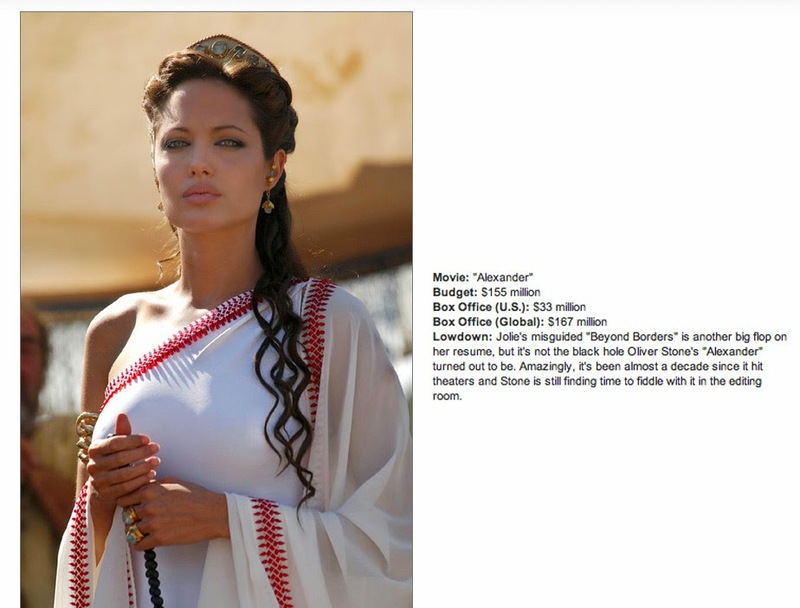 ALEXANDER, the Oliver Stone version starring Colin Farrell and Angelina Jolie, is a curious PEPLUM. During it's theatrical release, it bombed at the box office. The 3 hour film only made $34 million in North America with bigger box office returns in overseas market. It still didn't make any profit though. Reviews were brutal and Oliver Stone says that the film's portrayal of Alexander as a bisexual man was blown out of proportion by fundies. Needless to say, no one was left happy with the end result. A group in Greece even tried to sue Stone and Warner for defaming Alexander's history. The case didn't make it to court. Even after 9 years the saga of this troubled film isn't over. There are now 4 different versions. The original theatrical version is 175 minutes long. When it was released on DVD for the first time, Stone re-edited down (removing most of the bisexual stuff) to 168 minutes. But then Stone decided to do an extended version, calling 'ALEXANDER REVISITED: THE FINAL UNRATED CUT' and it's 214 minutes long. Stone nicknamed this one the Cecil B Demille version. But if that wasn't enough Stone thought he added too much stuff in the 3rd cut and re-edited again in a fourth version called the ULTIMATE CUT, at 206 minutes. This cut was released in November 2012. Confusing. I think that Jolie made an excellent Olympia (if I remember correctly), the ambitious and calculating mother of Alexander. The actor they chose for Alexander sucked about as much as having Burton do it so long ago. Why is casting this conquerer supreme so difficult? This movie in my opinion was a real mess. I have this and I compared it with Burton's movie and the 1957 version is so much better. This movie was a waste of very good acting talent, and Stone would of been better off if he made a War movie or Western. Colin Farrell was terrible as Alexander. The awful blonde wig or dye job didn't help. It is a mess as Stone's 4 versions attest to this.